It is said that the "eyes are the windows to the soul". I have always been fascinated by expressive facial features, and eyes are probably the finest example. 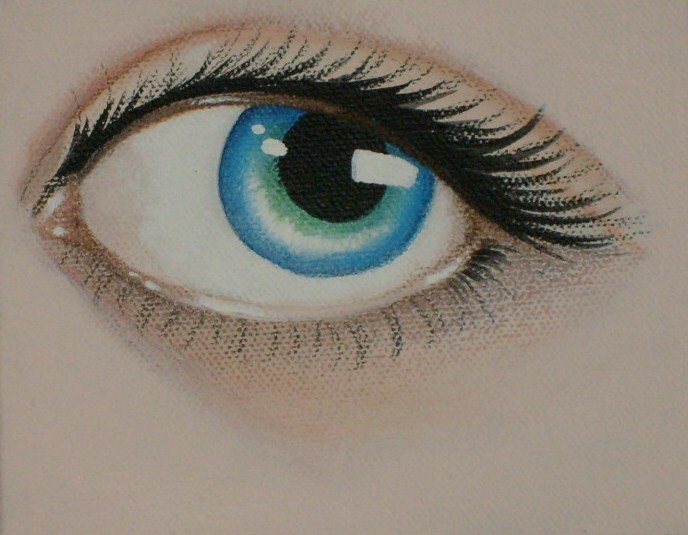 Here I celebrate the "window to the soul" in a simple, itty-bitty painting. Because this piece was painted on gallery wrap canvas, the painting has a sculptural element to it, and could be placed on a shelf much like a 3D object, rather than simply hung.